It’s no surprise that Birmingham’s trail-running scene has exploded. This city is home to an inviting and supportive running community and trails that will challenge any runner, making it a prime location to dig deep into Alabama’s red clay. 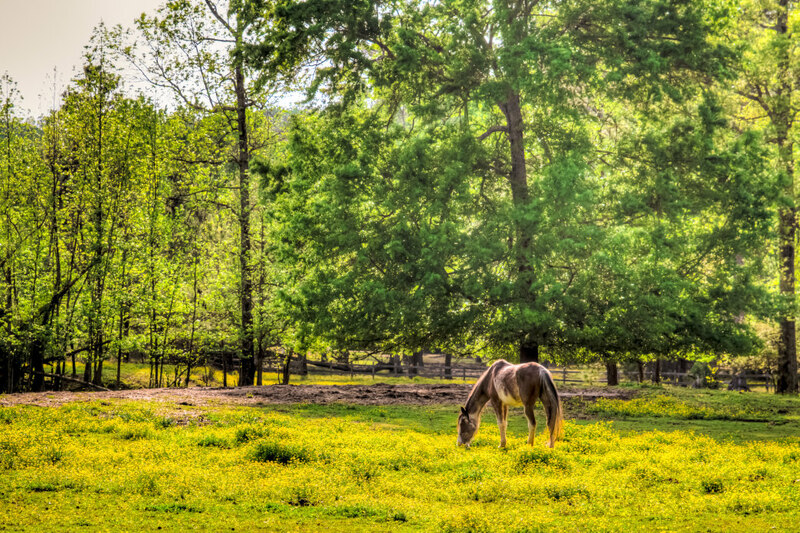 Offering scenic views, leg-burning elevation, and terrain that is both treacherous and tame, the trails surrounding Birmingham combine all the aspects that create avid runners. 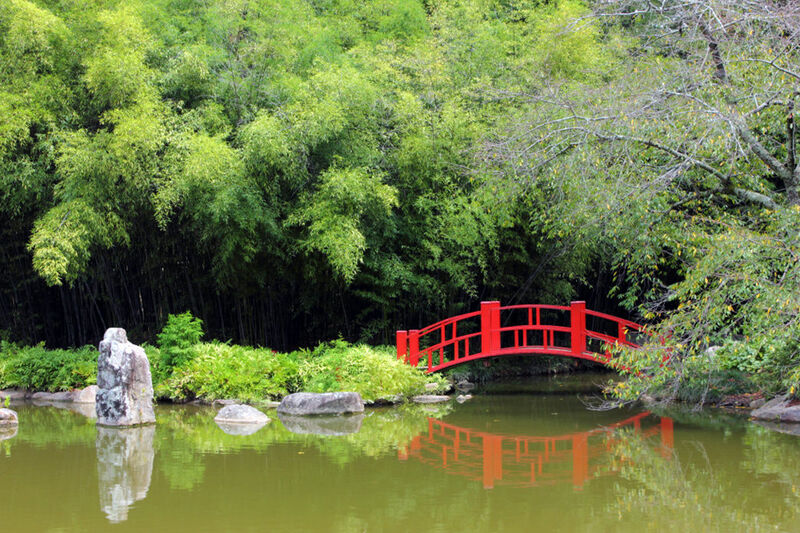 Looking for a quick in-and-out jaunt to test your pace just before the park closes? Or maybe an extended lunch break run to rejuvenate your day? How about a Saturday long-distance loop around one of the most iconic trail-running destinations in America? Whatever you desire, Birmingham has it, and this down-and-dirty guide will quickly get you up to speed on the city’s best trails. Any discussion about trail running in Birmingham should start with Oak Mountain State Park. The Double Oak Trail was voted by Runner’s World as one of the 25 best places to trail run in the county, and the park hosts numerous trail-running competitions every year. More than 50 miles of well-marked and well-maintained trails allow runners to enjoy the park’s lakes, rock gardens, and sweeping vistas. 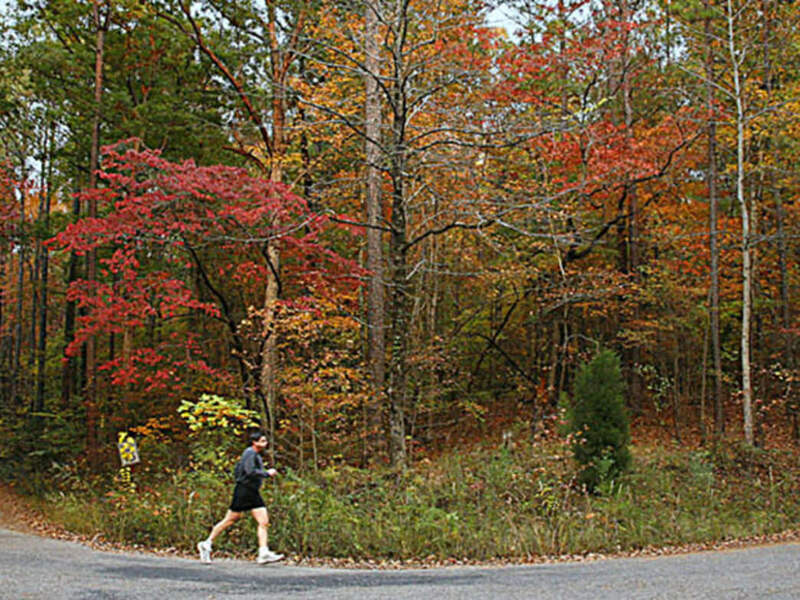 Double Oak Trail (also known as the Red Trail) encompasses everything that makes Oak Mountain one of the premier trail-running destinations in America. Accessible from the North Trailhead, the mostly singletrack 17-mile loop will throw everything at you, from protruding roots to moss-plastered rocks and creek crossings, along with forgiving straw-covered ground and sand pits to greet you along the way. If you make a complete loop on the Double Oak, the elevation gain will test your heart rate and stamina, and you’ll have to stay alert, as the trail is also a popular destination for mountain bikers. 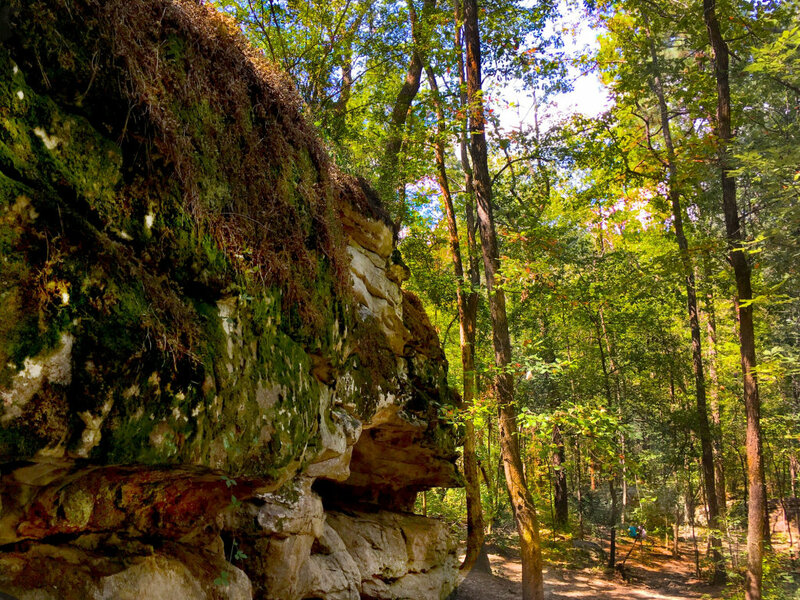 A quick drive from downtown, the Quarry Trail on Ruffner Mountain is a 3.1-mile out-and-back that is perfect for a quick midday break or after-work run. Because the path gains just a little more than 600 feet of elevation and crosses moderately difficult terrain, it’s perfectly accessible for all trail runners. Plus, no bicycles are allowed on Ruffner, so you only have to be concerned with other runners and hikers. The views of Birmingham from the overlooks make this trail a gem of the city. Birmingham isn’t known for its grandiose skyline, but on a late summer evening, when the landscape is a lush green and the sun is setting behind the city, you’ll get a view of the city that relatively few have seen. Ruffner has 14 miles of trails that cover 1,040 acres of what used to be one of Birmingham’s iron ore deposits. A run here gives you an interesting glimpse into the city’s mining roots while giving a taxing workout at the same time. Known more as a favorite for photographers in the area, the Birmingham Botanical Gardens is a unique place to get in a quick, leisurely run. A trail loops for 2 miles around the gardens, passing through the most photographed landscape in Birmingham. While you won’t be looking to set any distance or pace records here, you can enjoy the relaxing change of pace. Keep in mind that this is another spot that sees heavy weekend traffic, but it’s the ideal place to get in a quick early-morning run. Like Ruffner Mountain, Red Mountain also provided Sloss Furnace with iron ore until the mid-1900s. These two mountains were key to the development of Birmingham, which is part of their allure as trail-running sites. The Red Mountain area is home to many relics from the mining days, from the foundation of a bathhouse to a trail laden with railroad ties that transported the precious ore. But, don’t let all the history behind Red Mountain fool you. While the terrain is more user-friendly than Ruffner or Oak Mountain, it’s also home to a diamond trail named after one of Red Mountain’s miners, Ike Maston. To reach it from the park entrance, head south on the BMRR South Trail, covering terrain that’s a bit gravelly, but flattens and allows a solid warm-up. After you go about a mile, turn right toward the Hoist House and enter the canopy of trees that mark the entrance to Ike Maston. Stretching 2.65 miles, the Ike Matson rollercoasters through the forest, offering no rewarding views or scenery—it’s just a head-down, gut-check, leg-burning push through the heart of Red Mountain. It’s an appropriate way to honor the hard-working miners that helped Birmingham earn the "Pittsburgh of the South" nickname. To finish your run, loop back around on the BMRR South Trail for a total trip of about 5 miles. While Red Mountain used to be a little-known secret gem in Birmingham, it’s now a burgeoning operation with new features and trails being added often. Wait a couple months between runs and you are sure to see something new. Just be sure to note the park’s operating hours and plan accordingly, so you can finish your run and leave the trails before closing time. Neon-green covered boulders in Moss Rock Preserve dot the landscape—some with enough height to make your knees weak. The preserve is a popular weekend destination for hiking families and boulderers, so if you like running solo remember the weekend crowds. Its varied and mostly-friendly terrain also makes it a perfect for a pace-challenging run. There are close to 12 miles of trails that loop together, with creek crossings and hills both large and small. Because the trails aren’t clearly defined in some areas, you should carry a map and watch your surroundings. Written by Hap Pruitt for RootsRated in partnership with BCBS of AL.